Spring is nearly here! Delightfully, new growth will be popping out on trees, and flowers will be poking their little heads through the soil (or already are). Perhaps the promise of a new season has you thinking about how to exercise your green thumb. If yours has been sadly “out of work” over the winter, you might just be dreaming ways to put the stored up energy to good use—planning a garden! We’re here to help your idea train get moving down the tracks. So, today we have 10 garden scenarios for you as well as general tips to keep in mind as you mastermind your space. You’re thrilled to finally have a spacious deck on your mobile home. It’s been a long time in the making, and it looks great on your house. And plenty of deck space is a huge plus for you because what you don’t have is plenty of yard space. But a garden isn’t off the table for you, because a some outside the box thinking can transform your deck space into a garden in its own right. Spruce up the space with green plants in ceramic pots or in built-in boxes. And fill out the area with flowers in your favorite colors. 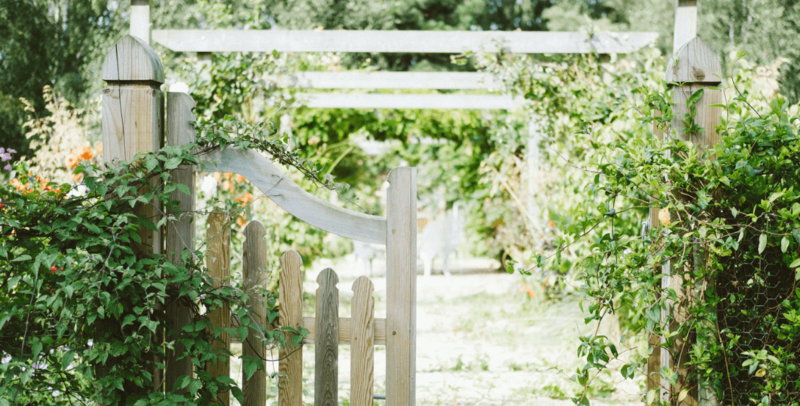 Plus, turn to railings, trellises, or pergolas to help you spread the plant life further than the floor. When considering what kind of living plants you prefer, let’s say bushes and shrubs seem to take precedence over flowers or grasses. In fact, you find yourself irresistibly drawn toward topiary. Actually, it just gives you a thrill to see bushes whimsically shaped. And you even love the simple tidiness of a bush trimmed in a simple circle or square, too. The other thing that draws you to shrubs? Yes, it’s the ability to cover up (and distract from) your less-than-lovely mobile home skirting. Check out Five of the World’s Most Fascinating Topiary Gardens for inspiration. Then, once you’re thoroughly charged up about introducing some imaginative fun or well-shaped tidiness into your garden, dive into Topiary Gardening Tips. Possibly, you find yourself in a situation where you don’t want to dig up the ground around your mobile home. Perhaps you’re renting and you’re not sure how long you’ll be in this place. While you don’t want to invest in landscaping that you’ll leave behind, you do want to surround your home with loveliness. You’re wondering how to incorporate plant life without losing all your effort when you move. Enter what we’ll call the “garden of pots.” From terra cotta planters to ceramic pots to repurposed household items, know that plants do not always have to be placed in the ground. Find creative and beautiful ways to place your flowers and plants so you can pick them up and take them with you later. Whether you place pots around your fence or create a central hub of living things (around a bench or chairs perhaps) is up to you. Unleash your creativity, and craft a place that makes you smile every time you see it. Why not go ahead an make your dream a reality in your backyard? Perhaps you could use arbors and arbor-friendly plants to help you achieve the desired look. Choose a type of walkway that best fits your space and the type of look you’re going for. Let’s say you have one goal in mind with this garden of yours—color. You’ve spent plenty enough time in locales full of green and green only. While green is a lovely color, too much of a good thing is … well, too much. That’s why you’re determined to introduce a range of lovely colors into your garden. In fact, you’ll use the “colorfulness” criteria as your theme. Perhaps you’ll choose neutral outdoor furniture to let the full beauty of the flowers and plants shine through. Now, let’s imagine you’d love to exercise your green thumb a bit, but you also want to have a large, open lawn. Thus, you’re thinking that confining your garden to the edges of your yard may just be the way to go. You want to have a lush green lawn, mown well. And you think you’ll add your flowers and bushes around the perimeter. For some inspiration, check out these 20 Garden Border Designs. And once the edges are filled out and in bloom, enjoy spending time out there. Try to create a space that balances having room for the kids to run around and having room to grow lovely plants. Your mobile home is placed on gravel. It’s that simple. And you think it makes your case hopeless. Well, check out this creative way to redeem the stony space. If you’re looking for your landscaping to complement a classy mobile home, consider going with a lot of simple green. As in this Virginia home, Clay Hill. Whether it’s a fountain or a reflecting pool, give thought to how you can let the water be the star in your yard. Perhaps you’re led to a fountain surrounded by flowers. Or maybe you’d like to create a landscape featuring a reflecting pool. When you find yourself in a somewhat enclosed area, consider upping the coziness by shooting for an old-fashioned look. Perhaps you love the look of vines that climb on a home, and you’d like to incorporate that classic appearance into your landscaping. Time to get down in the dirt? Once you decide to make a garden happen at your house, what are some other things to think about? Let’s explore a little more about this great new development in your yard. Yes, sometimes you have to do some destructive work before you can get to the constructive work. In the case of your gardening and landscaping efforts, this could mean removing trees, bushes, debris, plants that you’re replacing, etc. In fact, it could even call for taking down a structure (like that old shed) or getting your broken grill off the premises. Of course, if you’re ditching plant life, do try to get it out roots and all. Surely, you don’t want it rearing it’s ugly head later on unexpectedly. Also, be aware of perennial flower bulbs. Just because you can’t see flowers at the moment, doesn’t mean there are no bulbs beneath the soil waiting for their chance to spring out. Thus, try to remember if anything came up in this area last year. Alternatively, tearing down may not always be the order of the day. Sometimes, you may find that you can incorporate existing plants, trees, or flowers into your new landscape. We’ll call that a case of ramping up what’s already there. At this stage of the game, maybe you’ve nailed down what it is you want to do to create a garden for your mobile home. However, you still feel hung up. You just don’t seem to be getting around to doing it. Additionally, if you’ve already started, you may be finding that you lack the incentive to finish the job or to maintain it. Here are some ideas for getting you out there and working. If you love having a garden in theory, but doing the work isn’t your favorite chore, consider what you could do to incentivize yourself. Perhaps selecting a good audiobook that you only listen to when gardening could help out. Or you could make phone calls while working thanks to the convenience of a mobile phone with earbuds. On top of this, listening to music might also be an option. As could drinking a cup of your favorite beverage (out of a covered cup) while you work. With soil-covered hands, this could be better than snacking while you work. Also, consider whether setting a date to get the work done would help you (e.g. “every Thursday from 4-6 PM, I’ll work on my garden”). And if you’re still finding yourself lacking in motivation, why not create accountability and more fun by working with a friend? Know a fellow gardening enthusiast? Then work together. One week, you could work on the friend’s landscaping, and the next week, tackle yours. Next up, let’s talk a little about planning. You know you want a garden. Yet, what you don’t know is exactly what kind of garden. Thus, it’s time to start exploring what you may and may not like. First, write down your initial thoughts about what kind of garden you want to have. Next, start gathering information. Because a large part of the garden may be its visual appeal, photos could help you here. For this, start browsing photos of outdoor spaces you find beautiful. Of course, one way may be to look on the internet for photos of gardens. However, you may also find print material (like magazines and books) useful. Looking at pictures of spaces other than your own could help you think about the potential of your space—what it could look like as opposed to what it does look like. Save photos that appeal to you, then take time to look at all the photos you’ve saved. Do any particular features stand out? Perhaps you find that almost all your pictures are awash in color. 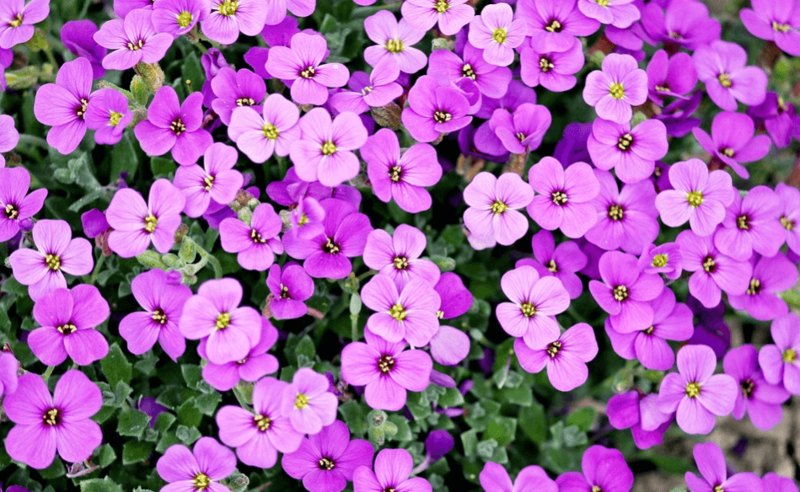 That could give you a clue that colorful flowers may be a good decision for your garden. On the other hand, if you notice that all the photos that stand out to you feature one particular color, that could be a hint that you may want to go for a monochromatic look. You may be doing your planning in the off-season. So, things look dry and uninspiring now. But even your own photos showing your backyard in another season could remind you what the place looks like when things are green and blooming. Then, use that memory to plan what elements of your yard you like and want to augment and which ones you’d like to change. Additionally, keep your eye out as you travel, whether near or far. When you notice a home with a striking lawn or garden, try to identify what makes it so beautiful to you. And do the same thing for lovely landscaping around any other location. As you go about your gardening, plan for success by being realistic. This could include learning about what plants should thrive in your climate (and in your own yard). For instance, if you have a very shady lawn, you may need to go for different flowers than another gardener would. Also, if you live in a very cold climate, you may need to think twice about the feasibility of putting in plants native to the tropics. Plus, you may want to take stock of how much time you have available to plant and attend to this garden. If you’re pressed for time, you may decide to opt for lower maintenance gardening options. As you get your garden planned and rolling, stop and think about your personal style and the style of your mobile home. You may decide to make choices based in part on how the colors and appearance of plants will complement your mobile home. For instance, you may love the idea of striking red flowers against your while mobile home siding. And you may find that you enjoy matching your garden with the general style of the area you live in. If you live in the southwest, you may opt for a garden with southwest flair. On the other hand, a mobile home near the beach may be a perfect candidate for a beach garden. Another “matching” idea could include outdoor furniture. If outdoor furniture is slated to be part of your garden plan, then consider gardening with it in mind. Build your garden to match with the furniture or select furniture that complements the garden. This could help you create a cohesive and appealing look. And once you get that garden planned and started, maybe it’ll be time to move on to your mobile home itself. Does it need a facelift to get ready for summer? Or perhaps it’s time to finally tackle some repairs or a mobile home renovation. With the area around your home getting a fresh look, enjoy updating the home itself, too!